Maccha tea leaves come from the same shaded tea field as Gyokuro, only they are steamed and dried without going through the process of hand rolling. Stems and veins are sorted out to leave only the blades, and in this state the product is called Tencha. 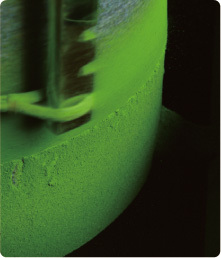 Tencha is then stone-ground into fine powder that becomes the final product, Maccha. Maccha is actually much less bitter than you might think when served to you foamy, thick and deep green. Due to the difference in processing, it has a characteristic mellow sweetness and a very subtle bitterness. Its flavor is markedly deep as it is stone-ground, and in a powdered state it contains all the nutrition of green tea leaves. 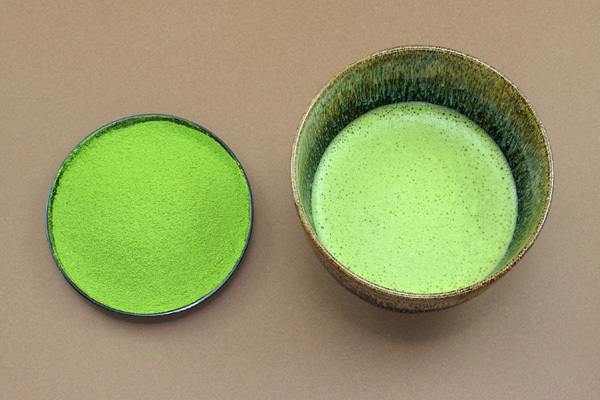 You can enjoy Maccha at tea ceremonies as well as at home, and in your favorite food and desserts as you like.